Once again, I have been asked quite a bit lately what Bill and I are working on right now. Well, for both of us, it is a bit different. We are both finishing small projects and finalizing details on some bigger ones. Bill has been working steadily in his shop getting it organized. It makes for much better work when he can find the hardware that he needs. The basement has a long way to go, but Bill has tossed a lot of stuff this summer and keeps it dry down there with a de-humidifier. He has spread his shop out to organize the wood, tools and space in the best manner. 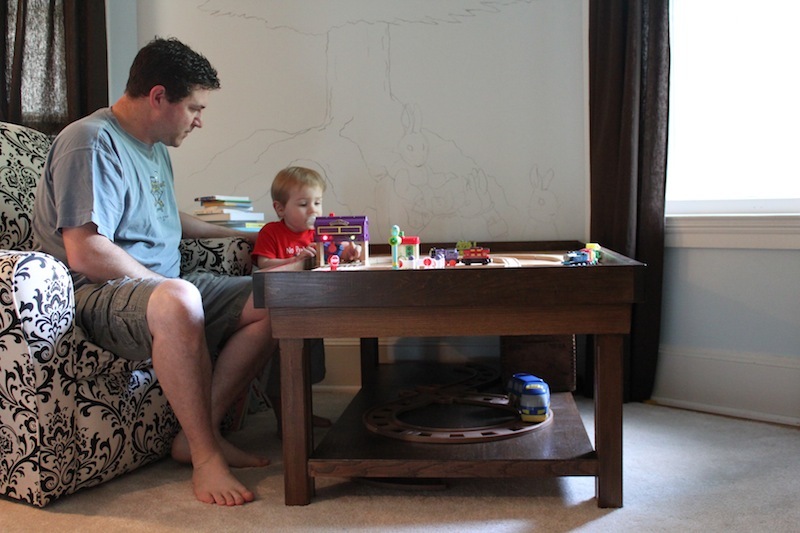 Since doing so, he has completed Will’s train table and a bookshelf. Will’s room still isn’t as complete as I’d like it to be for his 17 month old self. Course, I was supposed to have his paintings completed before he moved in a year ago, but that hasn’t happened. So, that is my current project. I have at least four to do, and I haven’t yet finalized the first. He will be 17 by the time I’m done, probably, so I hope he likes decorating his dorm room with Peter Rabbit. 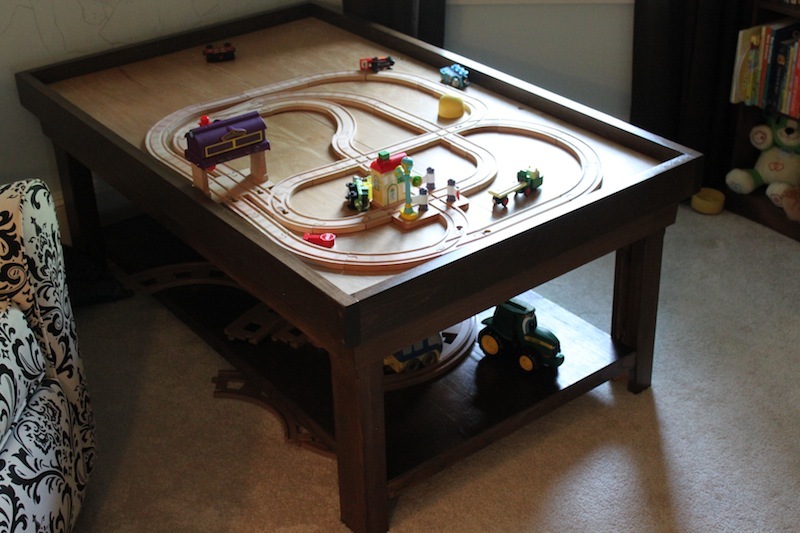 But, Bill finished his toddler table, a wonderful wooden table for all the trains that Will is into these days. We live about 1/4 mile from the tracks and we hear trains at least 5 times a day, sometimes we get to see them. Will is enjoying playing with trains and tractors and has needed a place to “drive” them for a while now. 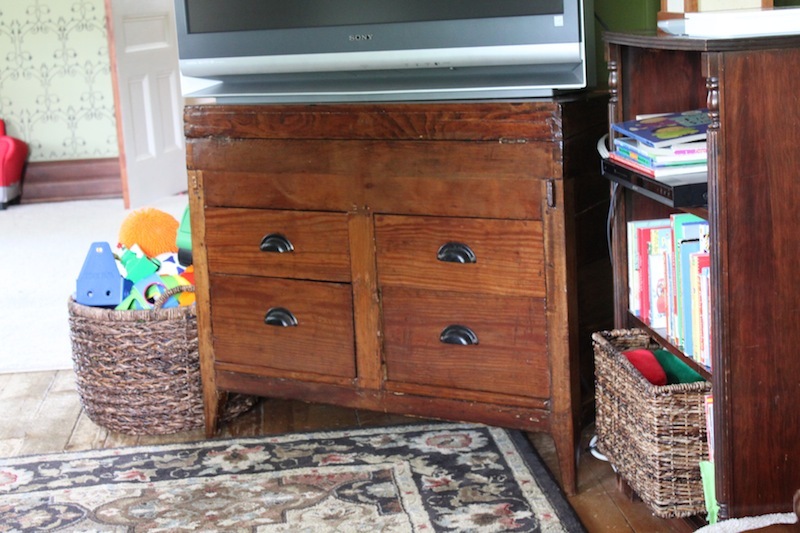 The bookcase/shelf that had been on our porch airing out has now been moved into the living room, along with the desk that I refinished for the TV. Both pieces complete our living and keep it cozy. But, I still have loads of books in boxes upstairs. The finished furniture allowed us to clear out the hallway closet so that Bill can start working on that space. However, we still need to put up shelves in the library for the entire collection and more that I will amass in my lifetime. No hurry, though. 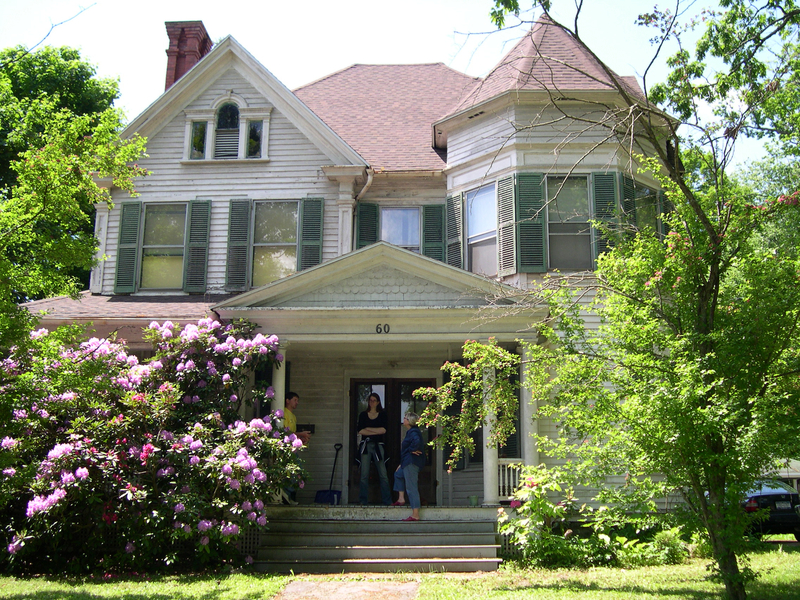 Completing some of these smaller projects makes the house feel more complete in a different way. And, we never replace quality time with Will in lieu of a house project. So, while I’m painting and Bill is creating a quiet music studio for himself, Heidi putters around downstairs looking for dropped cereal, and Will makes constant train sounds. It is a good life. what an amazing train table 🙂 hopefuly some day we will part with ours to pass onto you… but liam is still so attached .. 🙂 love to hear new updates .. Previous Previous post: What are we working on now, you ask?